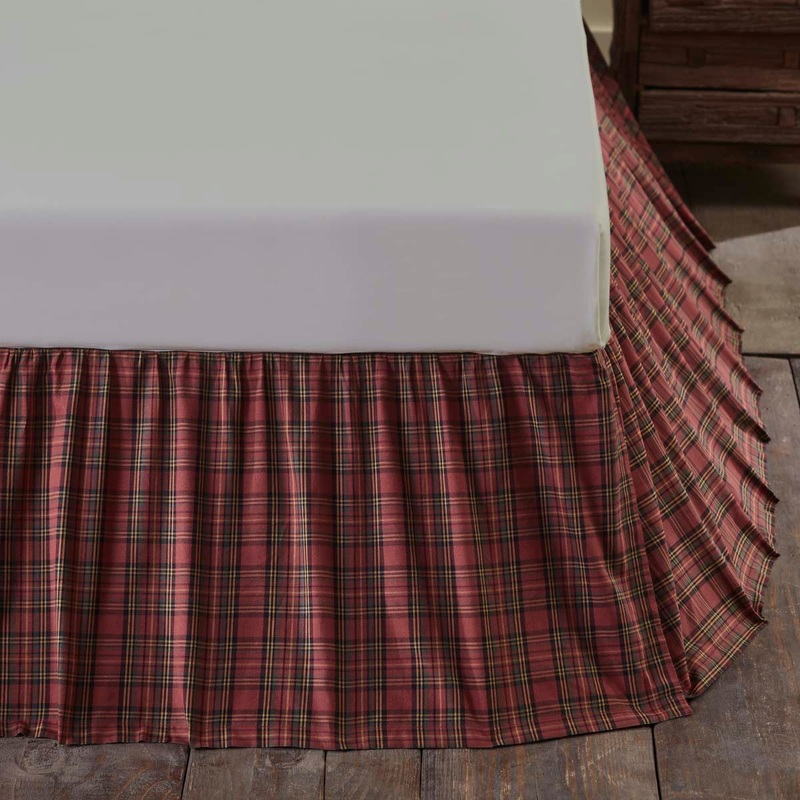 Tartan Red Plaid Bedding Accessories from VHC Brands. 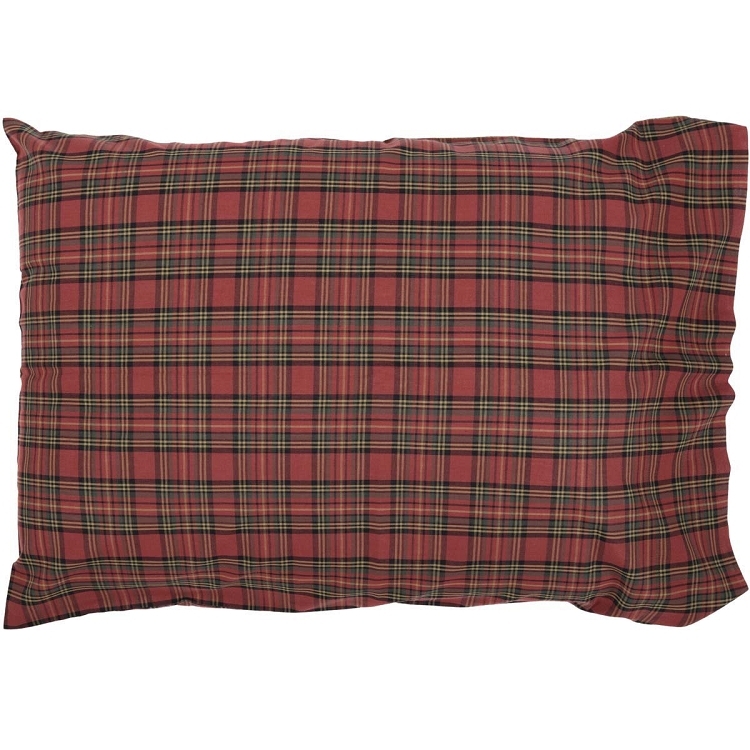 The Tartan Red Plaid pattern boasts large-scale plaids of brick red and forest green mixed with accenting lines of gold for a little country flair. 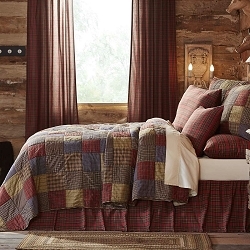 The hardworking plaids are a staple for crafting a truly rustic American home. 100% cotton.